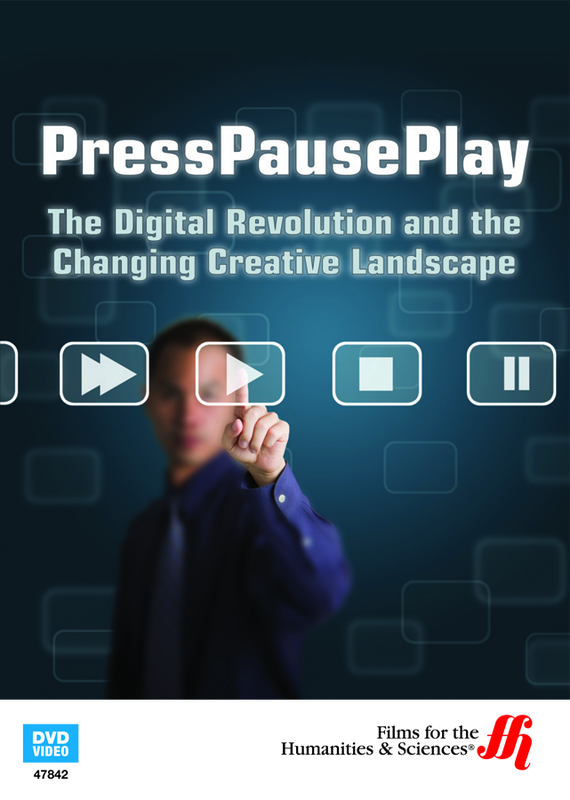 Investigate the impact of digital technology on the global creative landscape. 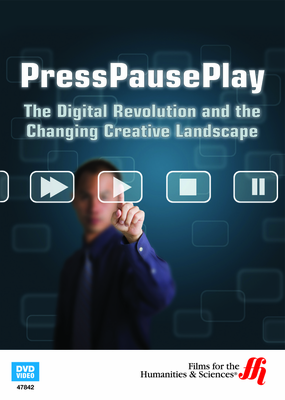 This enhanced DVD looks at how the digital revolution has changed creative expression. It analyzes the advantages and the disadvantages of digital media. It includes interview with musicians like Olafur Arnaids who mixes pop and classical music. There is an interview with producer Zach Hancock who talks about how easy it is to mix music on the computer. There is a lively discussion about how the time for recording and the cost have been greatly reduced by the technology. Film producer Ted Schilowitz is amazed by the new camera technology. Bill Drummond, who is an artist, talks about how software changes his artwork. Oliver uses creativity sent in by fans in his music videos. David Weinberger talks about how technology has made creativity explode because the cost of entry is so small. A writer published his book online and gave it away for free. It went to number five on the best-seller list because the writing was terrific. David Girhammer is the one party-pooper that thinks the technology falsely makes all the audience members believe they are now artists. Journalists chime in to agree that the democratization of creative expression produces lots of crap, when everyone mistakenly believes that have enough talent to be a star. There is still plenty of room for live performances and music is terrific when played by a full live orchestra. Record companies are becoming redundant now and not nearly as powerful in being the hit-makers that they were in years past. All these effects and more are explored in this fascinating enhanced DVD about the effect of the digital revolution on creative expression.